To wrap up this year I have decided to create three Top 12 of 2012 posts. 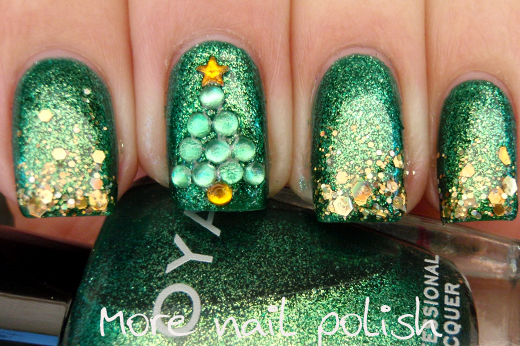 This first one is my favourite 12 nail art designs that I created this year. The next two days will feature my top 12 indie polishes and my top 12 commercial polishes. My holographic butterflies - this was the first nail art design I created using the print at home temporary tattoo paper. 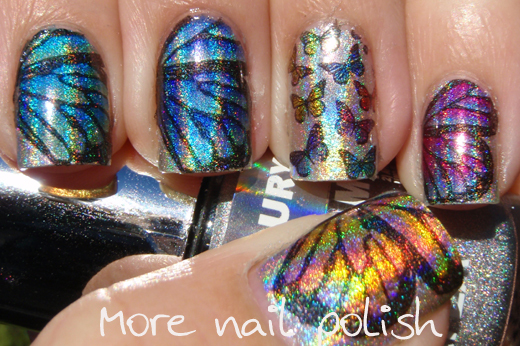 See my holo butterflies post and the tutorial. Ninjago nails. I love these nails I created for one of my nephews 4th birthday party. 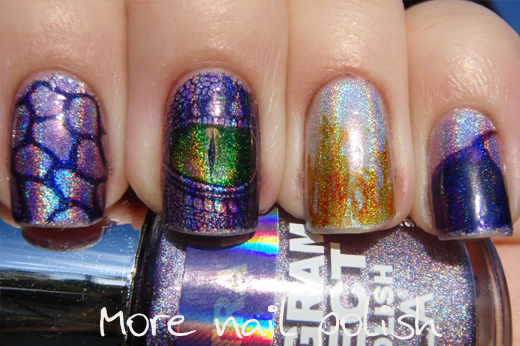 Would you believe that my ninjago nail art post is consistantly one of my top viewed pages? 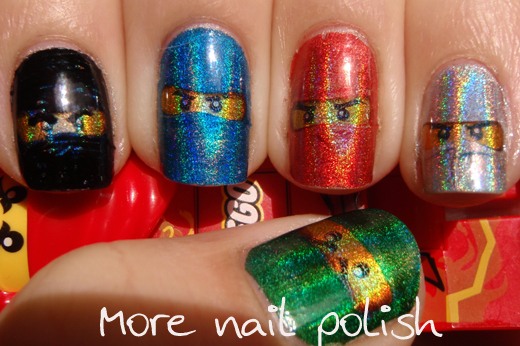 See my ninjago nails post. 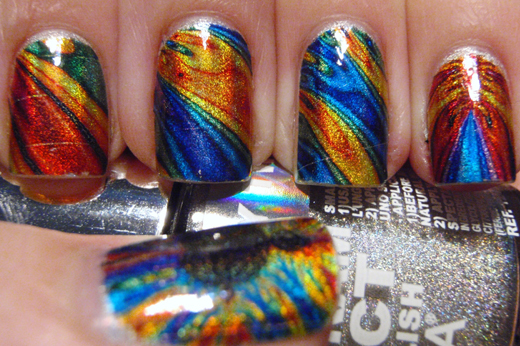 I did a whole series of holographic gradients this year, but out of all of them, this was my favourite. It was created using China Glaze OMG, IDK and LOL. See my original post with the purple holo gradient. Another design created with temporary tattoo paper. Dragon nail art post. While my stamping technique was well below average on this one, the overall effect was one that I loved. 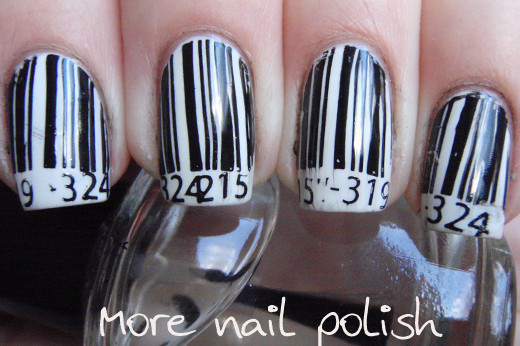 Bar code nail art post. Yep, another temporary tattoo nail art design. This one is based on the mathematical mandelbrot set. See my original post with more photos. I loved lots of the designs we all created during the Halloween challenge, and this was one of my favourties, created for the 'witch' theme. At the beginning of the year I created a number of Aussie themed manis around Australia day. I'm hoping to do the same this January if I can think of enough new ideas. 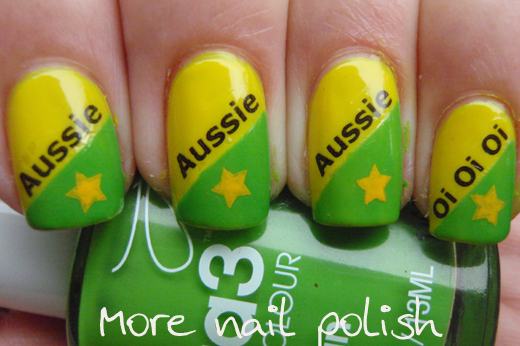 I really loved this bogan Aussie chant on my nails. See original Aussie Oi post. 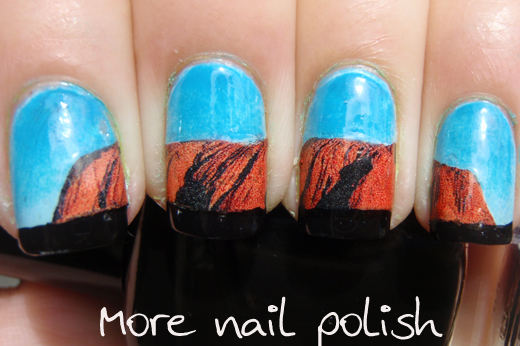 Another from my Aussie theme week, yep that is Uluru. I did this one using print at home water decal slide paper. I've learn't so much since this mani - like how to create a decent gradient! Original post. One of my more recent manis. That over used cliche of 'it look much better in real life' certainly applied to this one. See more pictures on my original challenge post. Finally, anther design from the Halloween challenge. 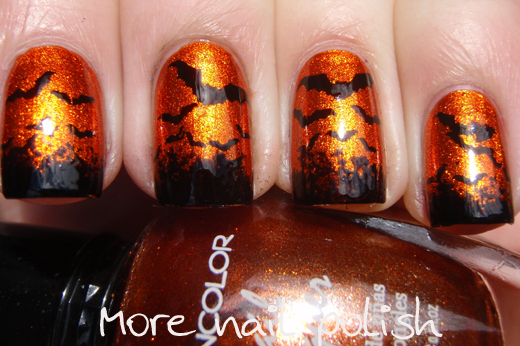 Classic black and orange with swarms of bats flying closer. Original post. So there you have it. My favourite nail art designs from this year. I wonder what will inspire me next year. You're amazing! 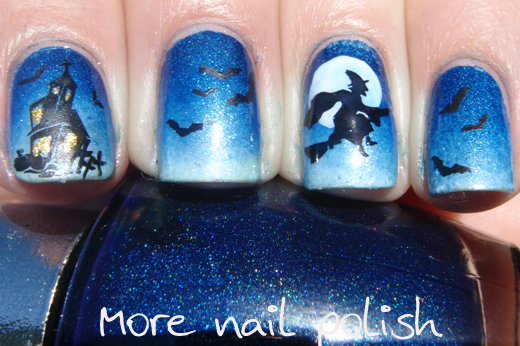 Your nail art is always awe-inspiring. 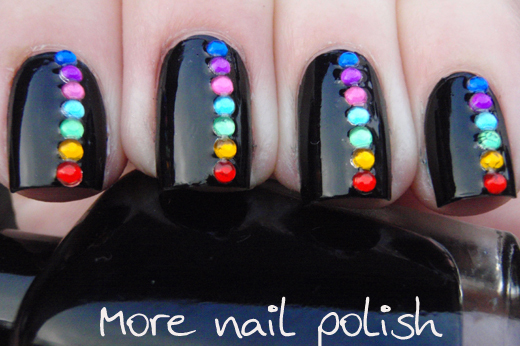 This is an awesome collection of manis! 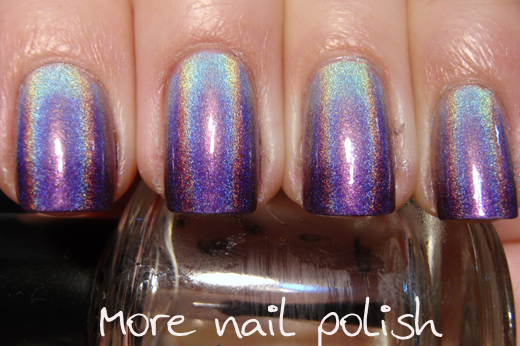 Oh yes, the holo gradient ♥. And Amoi Blog, your comment is kinda.. rude. It's been a wonderful holographic year! Your art is wonderful, I can't wait to see what 2013 brings! My fave are the batty ones, the bats on blue and the bats on orange.